Planning an easy ride tomorrow, so anyone not sure if they can still ride a bike, this one is for you. We go at the pace of the slowest rider, all welcome. See you at 10 am outside the Rose and Crown. Welcome to this weeks news and details of Sunday mornings ride. You may have noticed over the last few weeks that I have been absent in both words and action, however I can assure you that behind the scenes there is almost some work being done to ensure that the Isotonic range of Ales and wines is kept in top condition for the fine velos fatletes. It seems that much has happened since I last hammered away on the keyboard of my ZX80. Indeed her Maj Dizzie Lizzie Babe has popped across the water to Ireland for a McGuiness. It’s amazing what you can get over there, I popped into Leighton Buzzard the other day and the best I managed was a McFlurry. Moving closer to home, the Olympics are rapidly approaching, and I’ve been in constant contact with Seb regarding the Dave “hill” Howe Krong Pursuit challenge. Well Seb may be a world champion, an outstanding olympian, and a great amabassador for sport in this country, but his administration skills are pants. I’ve had no reply to any of my requests, none the less I feel confident that there is still time to include this important event. Watch this space. Back at Velos central, we were graced last week with the presence of the comedy maestro Arthur Smith. Now apparently on his way to us he popped into a tent on the lawn and managed to raise a few laughs, but I have it on good authority that he was keen to get his hands on a vinghoe velos cycling top. Well looking at his attire you can see why he’d want a piece of the latest fashion attire. Unfortunately I didn’t get to speak to Arthur about the cycling club as his legendary drinking and smoking would make him a prime candidate for membership. An open invitation is extended via this posting. Unusually I am now actually going to put some information out on cycling. In early September our special envoys are on a recruitment ride in northern France. Jim Kendick is heading up organisation for the trip, and if you’d like to join them, or your outstanding any information then please send it in to the mail address and I’ll make sure Jim gets the details. The weather forecast for tomorrow is a bit hit & miss but as always, our rides go ahead rain or shine. Our friends at Ivinghoe Entertainments tell us that there are still tickets available for the Laughter on the Lawn event on Saturday 23rd June featuring comedy legend Arthur Smith. Please head on over to the Ivinghoe Entertainments website for details of where to buy tickets. Windy but hopefully dry tomorrow. Last week we managed a circular ride with the wind behind us all the way, we will try and do the same tomorrow. See you at 10am outside the Rose and Crown for fresh air, tea and cake. With Hegs down with Man Flu and Gary doing another shift in the Rose and Crown, it falls to yours truly to put out a ride for tomorrow. For those wanting a shorter route there is a simple reduction from Tring home missing Tom’s Hill! See you outside the Rose and Crown at 10am for cycling, tea and cake. Rolled into one and what do we all get?? a ride put out very late, sorry! 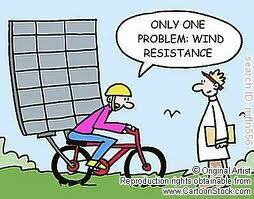 As many intrepid cyclists prepare for the Tour de Vale, in the rain, here’s one for us all! Andrew and Jose wont be out as they will be on the Beacon supporting the Tour de Vale, as always your support for their London to Paris ride is most welcome! It still looks windy tomorrow morning, but for the brave tea riders I’m sure it won’t be a problem. 10 am out side the Rose and Crown as usual. This week’s ride has been planned by Mr Howe – many thanks for sending it in to Velo Towers Dave. Due to the planned local events on Sunday afternoon that many are planning on attending, we would like to start dead on 10am so please arrive at the Rose and Crown around 9:50am.